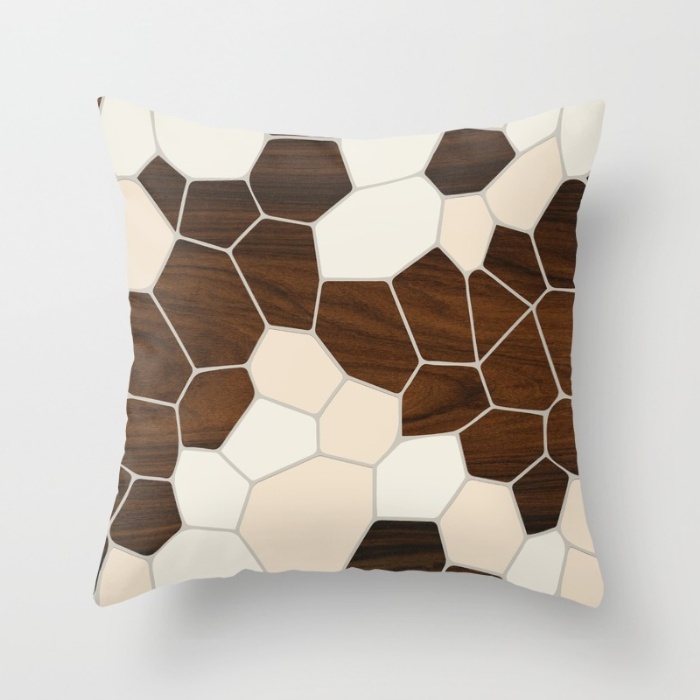 Vertical beams of walnut dance in repeating patterns against a contrasting alabaster background throw pillow. available in both indoor and outdoor versions. Pillow insert extra. Price starts at $20. A rhythmic design adds lively geometric dimension to accents of wood. a modern horizontal tile design of white oak on white background that creates a visually interesting accessory. this textural design makes a stylish accent to your seating. Individually cut and sewn by hand, the pillow cover is offered in 3 sizes, and features a double-sided print.